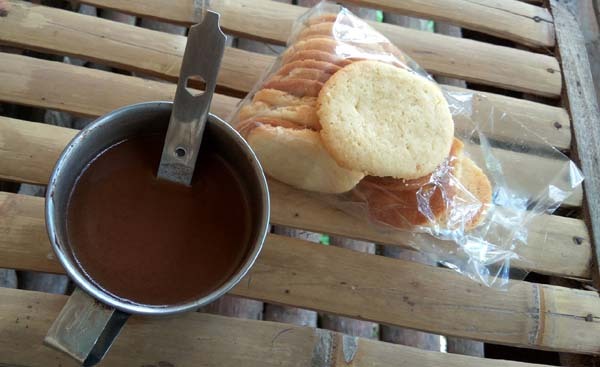 I'm a big sikwate fan and it gives me great joy to be introduced to the making of the sikwate - a hot dark chocolate drink that has been part of the Filipino tradition since the Spanish times. 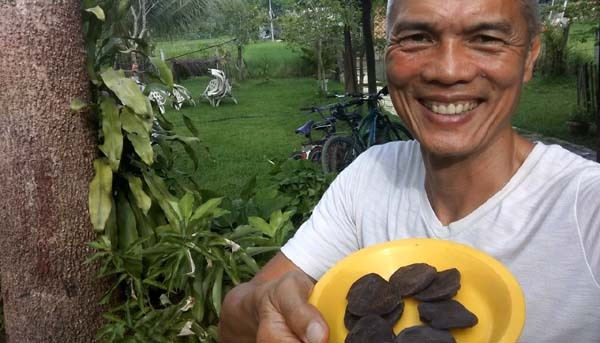 Rare and highly prized in Europe and North America, it is ironic that it has remained a poor man's morning drink in the wet markets of the Philippines. However, it has been trending lately with its introduction into polite society's proper cafe scene. 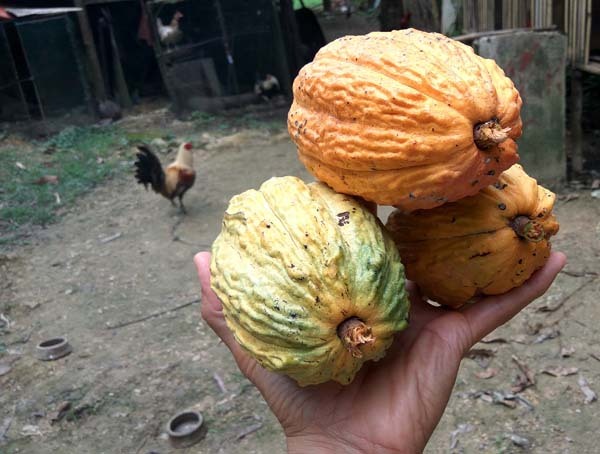 Bohol is a source of the Spanish variety of cacao that commands a high price in the global market. 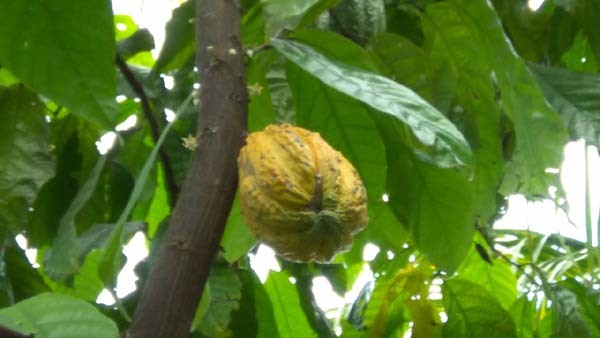 This tree is hardy, grows big and survives for decades, bearing small and hard cacao beans. The Spanish trees still exist but usually inside residential compounds or in the forest as one-off trees. 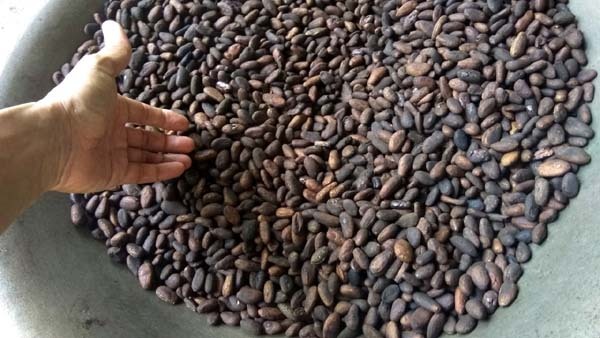 I am not aware of any production scale of the Spanish variety cacao. In contrast, the popular grafted hybrid does not get too tall, bears big fruits but only for about a decade before the tree flounders. 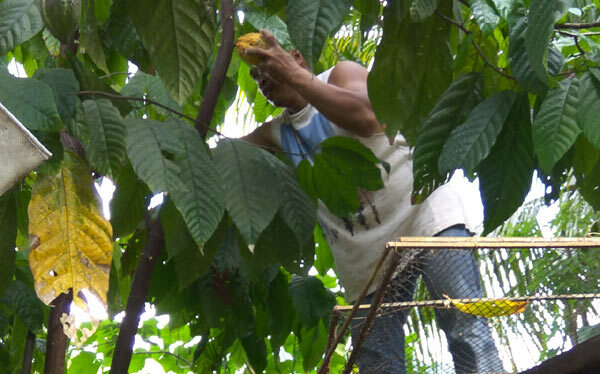 Here at Lyn's Backpackers Inn, run by the Huerte family, the surrounding land is rich in their produce - cacao (Spanish variety), herbs, rice, chickens, etc. 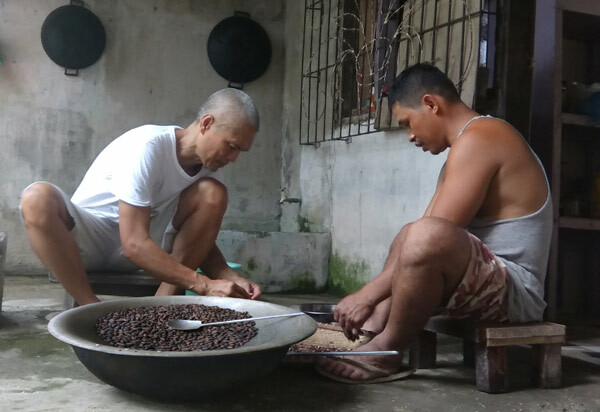 As I resumed my short-term residency, I came upon their trusted hand, simply known as "Bossing" whom I chanced on roasting cacao. 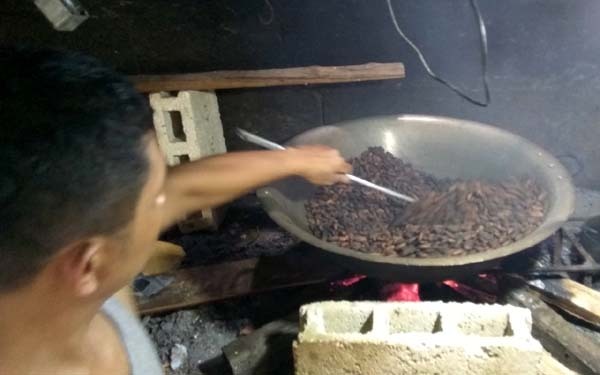 I interviewed him about the process and even helped out removing the skin from the roasted cacao. 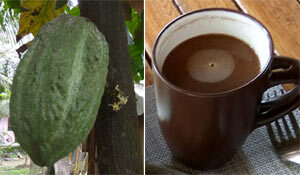 Meticulously, he took me along the steps from cacao fruit to the sikwate drink. 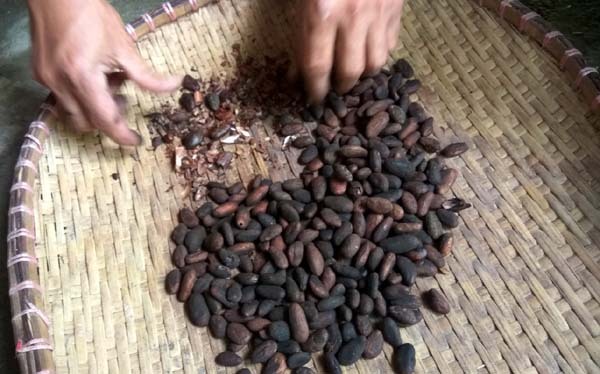 skinning - after roasting, when the seeds are not too hot, the skin is crushed-off from the seed and the seed is separated from the rest. Often, the entire seed breaks and the skin blends in with the crushed seed. 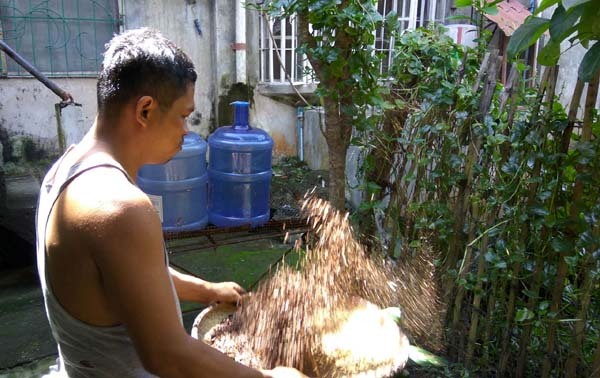 This section is separated as well in a bilao, where it is threshed. 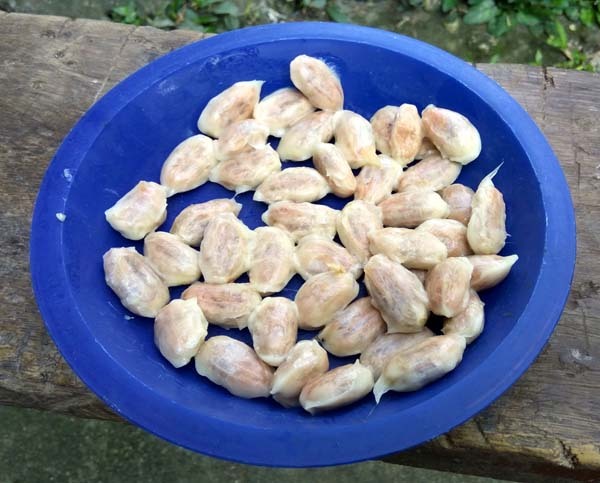 If roasted and de-skinned cacao seed is bought from the market, the price is about P500/kilo. grinding - the batch is then ground similar to peanuts being ground to make peanut butter. 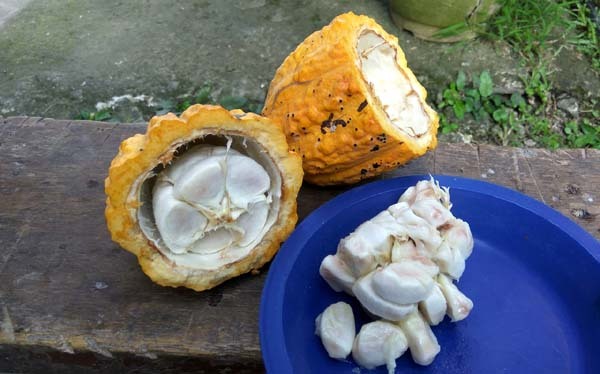 The ground cacao seed has the consistency of melted chocolate. It's runny and gooey unlike peanut butter which is pasty. 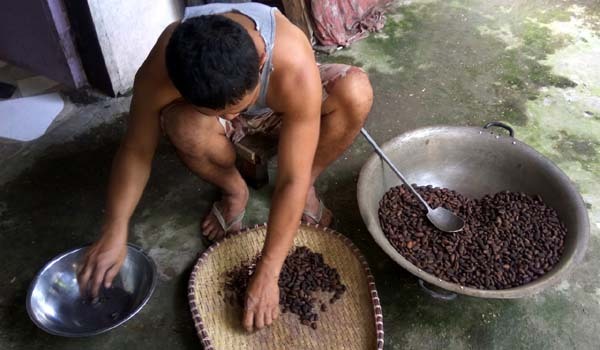 There is no grinder facility in Loboc, so the batch is sent to the neighboring town of Loay for grinding. Grinding is P18/kilo. 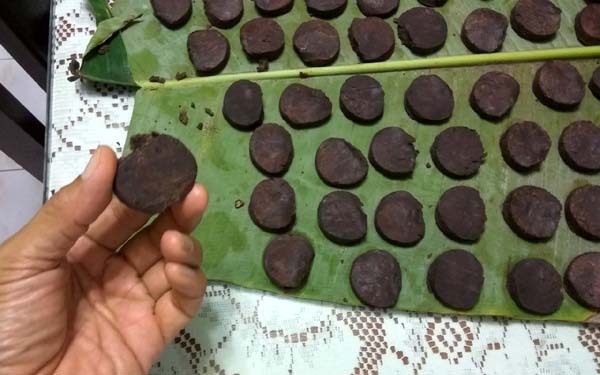 shaping into Tableya - when the ground cocoa has semi-hardened and can be worked-on, it is put inside a polvoron presser/shaper to assume a circular form - about 1.5 inches in diameter and about 4mm thick. 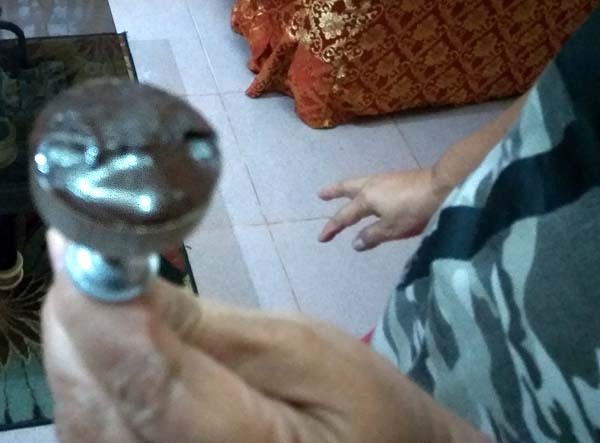 This is now called Tableya and is usually sold in the market as-is, packaged in a variety of weights. This can now be stored for future use. 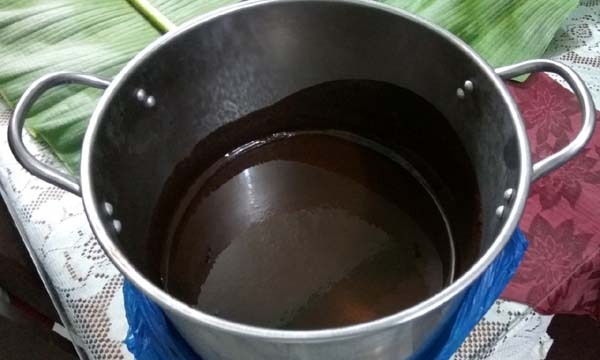 Tableya can also be used to make champorado (chocolate rice porridge). 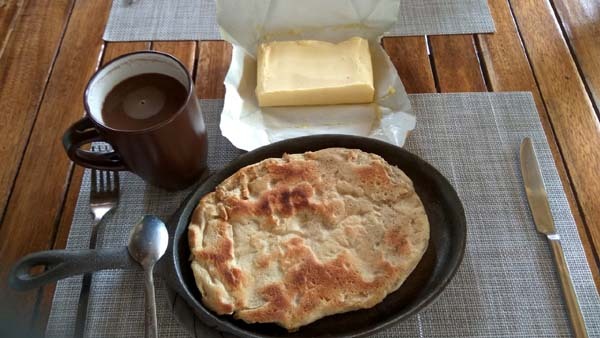 sikwate - water is boiled and the Tableya added into it and whisked for a frothy finish. 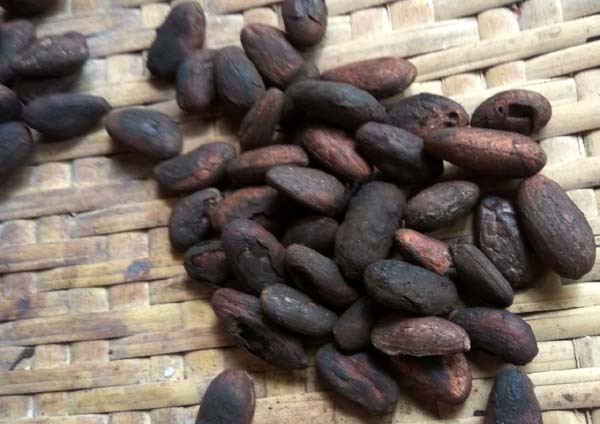 Put as much Tableya for the desired chocolate strength and pour into a cup - that beverage is now called sikwate - pure native hot dark chocolate drink. Tagbilaran - Country Cafe (P50), Caffeine (P70), Tableya de Maria Clara (P80 for espeso) and Tamper Coffee & Brunch (P110). I'm also a coffee fan, but if it's a choice, I would choose sikwate hands down over coffee. I add a little bit of rum and thick heavy cream for a richer texture. In the ancient Mayan culture, it is said that chocolate was food for the gods. 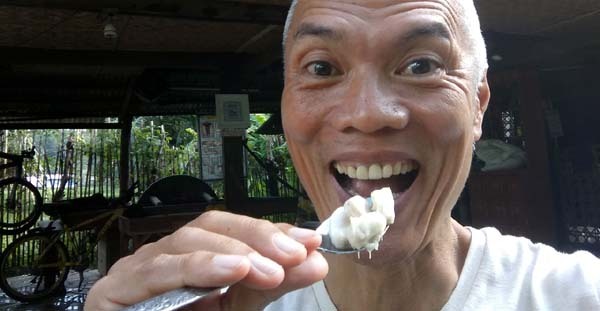 Drinking pure sikwate delights the divine residing within you. (Jan 28, 2018) Yummy! Is there no sweetener added? (Jan 25, 2018) ...my dear Brenda, what a pleasant surprise! No sugar or sweetener whatsoever is added to tableya (100% pure dark chocolate block), unless specified by other commercial vendors. You can add your sweetener though once you make a sikwate drink from the tableya. (Jan 25, 2018) People of North America are much more appreciative of bitter, roasty flavours. Everything is sweetened here. Thanks for showing the whole process of creation.